This app runs the u-shape test introduced by Simonsohn (2017 .pdf). In particular, it estimates an interrupted regression, that is, a regression with two separate slopes, for the predictor hypothesized to have a u-shaped effect. The breakpoint is set using the "Robin Hood" algorithm, seeking to obtain higher power to detect a u-shape if it is present. 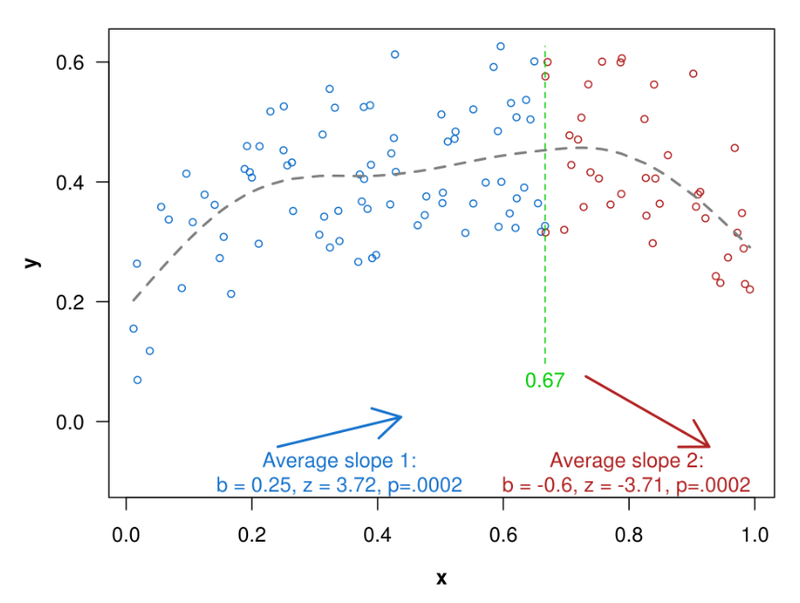 If the resulting two slopes have opposite sign, and are individually statistically significant, the test rejects the null hypothesis that there is no u-shaped (nor inverted u-shaped) effect. If you don't have a file but want to check things out, download this datafile and then upload it.